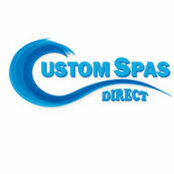 Custom Spas Direct is celebrating over 20 years in the Spa business. To achieve the highest possible standards in all we do our number one priority and commitment is to offer world class sales and service to our customers. We pride ourselves in offering the highest quality spas and swims spas at the most competitive pricing,resulting in total customer satisfaction. Our sales and service team covers all of Southern California, LA County, Orange County, Riverside County and San Bernardino County. We look forward to helping you with all of your home hydrotherapy needs.